There are so many unsung heroes of music, each of whom has made a wonderful contribution to the good music cause. Our Legends are those whom we feel have done so much for a particular genre of music and deserve to be credited accordingly. We think it is about time these truly outstanding individuals received the tribute they deserve. 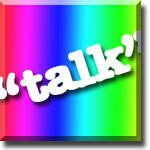 We welcome your support and views too - click on the link below to add your own comments. The David Jacob's Collection broadcasts every Sunday from 11pm-12am. Click here to listen to the show. Full profile of David Jacobs on the website of his agent, Billy Marsh Associates, complete with booking details. David Jacobs is worthy of every superlative. He is quite simply one of the finest broadcasters Great Britain has ever produced; his weekly BBC Radio 2 show remains one of the few, true gems on air. He has been broadcasting for over half a century, and his charm, knowledge and professionalism make every show completely special. Not all that long ago, David had a lunchtime show every weekday on Radio 2, in addition to his infamous Saturday morning slot. As one listener put it: "such a civilised way to spend lunchtime". And how right that listener was. We were treated to a daily selection of all time greats, with music from stars such as Tony Bennett, Peggy Lee, Frank Sinatra and Bing Crosby being regulars on the Jacobs' lunchtime menu. He and his then producer Anthony Wills not only hand-selected over a hundred great tracks each week, with plenty of light music classics from the likes of Paul Weston, Robert Farnon and Tutti Camarata, but also put hours of effort into researching information about the artists too. The same effort goes into his show today, which a decade or so later, is just as good as ever. If you look up David on Wikipedia, the words "Disc Jockey" appear in brackets after his name. While David has presented many leading pop shows on radio (see his profile below), we prefer to think of David as a broadcaster. Carefully selecting the music for his show, informing the listeners about the artist, treating his audience with great respect, he demonstrates that radio is a craft, of which he is the master craftsman. We cannot understand why, over the years, the BBC has assumed we want less of David's style of radio, and as a result, his show has been farmed off to the last slot of the weekend, between Eleven and Midnight. Fortunately, though, with the advent of radio on demand, we can now access his show at any time we want. Those who like their classic vocalists and light orchestras, who are tucked up fast asleep in bed on a Sunday night, are encouraged to click here to take a listen to David's wonderful programme. We do worry where the next generation of David Jacobs's will come from. Radio now seems to be about a constant stream of rock and pop being pumped from a hard drive, introduced by the latest flavour-of-the-month TV star or former Radio 1 rock DJ. Is there going to be a place on radio for the time and attention that the likes of David Jacobs and his producer Alan Boyd put into a broadcast? We sincerely hope so. We are very grateful to have experienced so many years of truly enjoyable broadcasts from David Jacobs. Long may his weekly show, The David Jacobs Collection, continue. 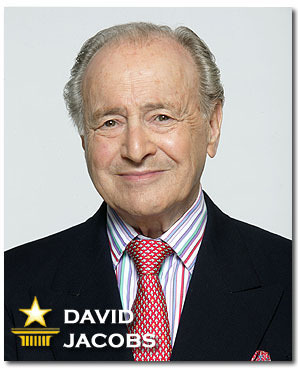 David Jacobs started his distinguishing career in the Royal Navy during the war, appearing in 1944 as a guest in the BBC programme, Navy Mixture, as an impressionist. He served on the staff of Lord Louis Mountbatten as Chief Announcer of Radio SEAC in Ceylon. When demobilised, he joined the BBC as an announcer/newsreader and since 1947 his has been one of the most heard voices and seen faces in Britain. Currently David presents the highly acclaimed programme The David Jacobs Collection on Sundays at 11 pm on BBC Radio 2. David’s major radio credits as a figurehead presenter include Housewives Choice, Journey into Space, BBC Jazz Club, Pick of the Pops, Saturday Show Band Show, Melodies for You (12 years), Any Questions? and Any Answers? (17 years). His daily lunchtime Radio 2 programmes ran for six hugely successful years and he was a founder member of Capital Radio. His extensive Television credits include hosting; Make Up Your Mind, Tell The Truth, Juke Box Jury, Top of the Pops, David Jacobs Words and Music, Sunday Night with David Jacobs, Where Are They Now?What’s My Line? Who, What or Where?, Wednesday Show, Wednesday Magazine, Eurovision Song Contest, A Song For Europe, Miss World, and, as an actor, he played the part of Laurie in the first serialisation for television of Little Women and made a guest appearance in Some Mothers Do ‘Ave ‘Em. His return to compering BBC’s Come Dancing received national acclaim and his TVS programme Questions notched up five series. David hosted Primetime on BBC television for three years. David has toured the country presenting a number of different shows, David Jacobs Goes Name Dropping, David Jacobs presents a Night in Old Vienna with English Serenata, David Jacobs presents Ain’t She Sweet, the music of the roaring 20’s and 30’s with the Charleston Chasers, The Legend of Sinatra, David Jacobs presents The Wonderful West End and An Evening of Gershwin with Marti Webb. Has appeared in six Royal Command Performances. Was voted Britain’s top disc-jockey for six years, both for the BBC and Radio Luxembourg. Was voted the Variety Club of Great Britain TV Personality of the Year in 1960. Was voted the BBC Radio Personality of the Year in 1975 - one of the few artists to make the double. 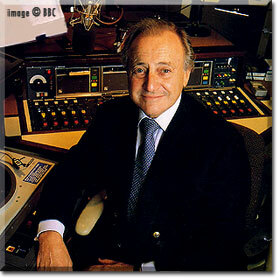 Was the recipient of the Sony Gold Award 1984 for outstanding contribution to radio over the years (and was subsequently admitted to the Sony Hall of Fame). He also achieved the Richard Martin Award for exceptional service in the cause of animal welfare. Visited distressed children of Albania in 1991 resulting in over £500,000 being donated to them via the British Red Cross. David was a Director of the Duke of York Theatre (1979-85) and is a Director and Chairman of the Kingston Theatre Trust. (and former Chairman) the Stars Organisation for Spastics. Royal Star & Garter Home at Richmond. Friends of the Chelsea and Westminster Hospital. The Society of Stars and a former Vice-President of the RSPCA. The Kingston Alcohol Advisory Service. The Kingston Branch of the Royal British Legion. The SW London Branch of SSAFA (1995-). The SW London Community Foundation (1995-). He is a Patron of Age Resource and a Life Governor of the Imperial Cancer Research Fund (1995 -). He is Chairman of Thames Radio. David is a Deputy Lieutenant of and for Greater London. For 17 years, until May 2001, he was the Representative Deputy Lieutenant for the Royal Borough of Kingston-Upon-Thames. On his retirement from this post, he was appointed High Steward. In June 1994 he received an Honorary Doctorate from Kingston University. 1994 marked his 50th year in Broadcasting. In 1996 he was created a CBE. In 1997 he was made an Honorary Freeman of the Royal Borough of Kingston-upon-Thames. In 2006 his professional life remains as active as ever, with his ongoing broadcasting work for the BBC, theatre tours with his own special productions and he is in constant demand for commercial and voice over work. If you would like to discuss this article, correct any mistakes, add anything to this review or come on board as one of our musical editors, then visit our "Talk" section now. You can also post all your comments, read other articles, and have your say on the state of today's music in our interactive talk site.